Today I am going to be attending a memorial service for a sweet and lovely lady I've been able to interact with on occasion. She's my sister-in-law's mother, and so we would sit and chat at gatherings with their family. Over the past almost twenty years, I've just become so fond of this woman--by the same token, her daughter is much the same, although not to the same degree (sorry, Michelle, but you know it's true, and it's not an insult to you, it's a compliment to your Mom, because you know how much I love you). Why do I like being around her so much? It's very simple, really. She is funny, and smart, and talented, and many other things, but just by the simple kindness of her nature, she drew me to her when I had a chance to chat. We never had deep conversations about the meaning of the world, but she was just like a breath of fresh air in the often frenetic and stressful atmosphere of large family gatherings like ours usually were. I'm not cruel by any stretch of the imagination, and I'm sort of soft-hearted, for certain things. But I'm judgmental, I don't give people the benefit of the doubt, and man, oh man, do I get annoyed with people. I've been told, recently, that even if I smile and try to "be nice," my annoyance comes off of me in invisible waves. "Nice" and "kind" are not the same thing. Being nice is outward, it's the shell, and it's often not genuine, or at least not heartfelt. Being kind, that's inward. It's a state of mind and heart. It involves Christlike love. When I think of kindness, I often think of mercy. The definition actually kind of shocked me and made sense at the same time: "compassion or forgiveness shown toward someone whom it is within one's power to punish or harm." It does make sense, in our daily interactions, don't we ALL have the power to harm each other? With a look, or even a thought, since our thoughts determine our actions? So, we all have the power to show compassion or forgiveness (or the determination to forgive before any slight even occurs). 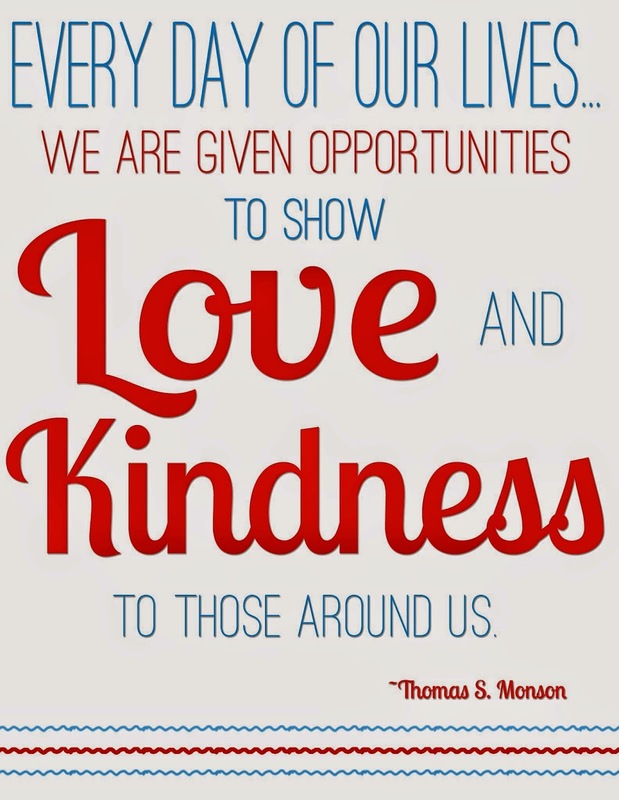 Mercy--giving others the benefit of the doubt--makes it easier to "be nice" because we are already "being kind." 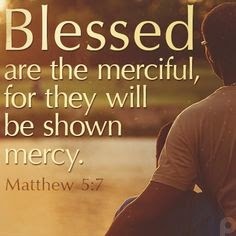 Thinking about how much mercy we are being afforded by our Heavenly Father and our Savior should make it easier to show mercy to those around us. He pointed out that he was in need of friendship, and that he had put up his petition in vain to some in our group. He looked me in the eyes when he said it, and it hit me--I had been placing it all on him. HE was so annoying. HE was bothering me. Whatever coldness or sarcasm I threw his way, depleting his emotional and spiritual "substance," was clearly because he had brought upon himself his misery. I was so wrong. I later begged for forgiveness and tried to understand where he was coming from, to just offer kindness, and mercy, and friendship. Our relationship changed and we were both the better for it. "Who am I to judge another, when I walk imperfectly? In the quiet heart is hidden, sorrow that the eye can't see. Who am I to judge another? Lord, I would follow thee." I know I am so far less than perfect. I desperately need mercy from the Lord and from my fellow travelers on this journey. I also, just as urgently need to show a little more mercy to those around me. Thank goodness for the Atonement and the ability to trip and fall and get up and try again, as often as we need to until we learn the lesson.